Every year I write about my love for stone fruits. 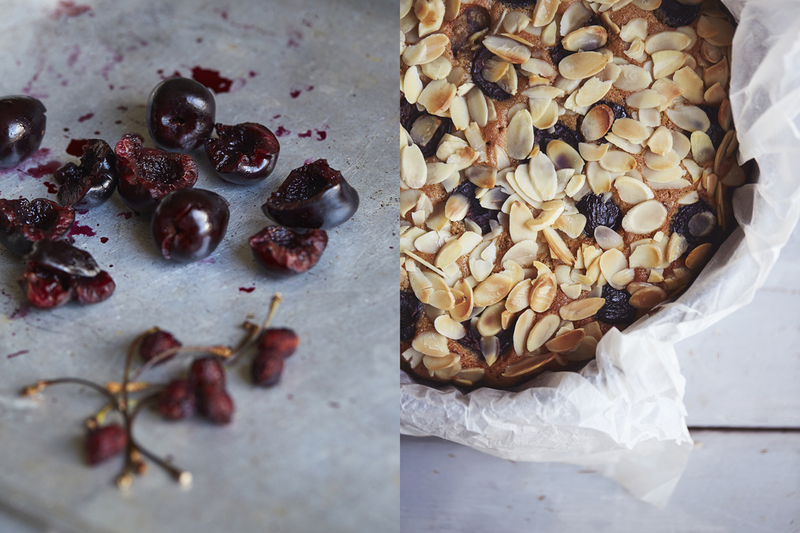 Peaches, cherries, apricots and plums are my absolute favourite to eat and to bake with. Juices dripping down wrists as we messily ate these as children remain the epitome of summer to me. The summery, light and floral notes of a perfectly ripe peach have excited writers and lyricists for hundreds of years - and who am I to disagree with such an amorous heritage? 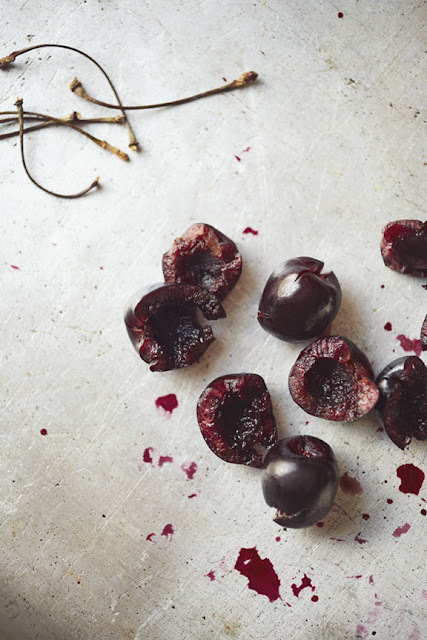 Cherries can often be hit and miss, especially as so many of them are commercially grown every summer. A truly delicious cherry - heady, sharp and deep in colour - is something to be cherished. 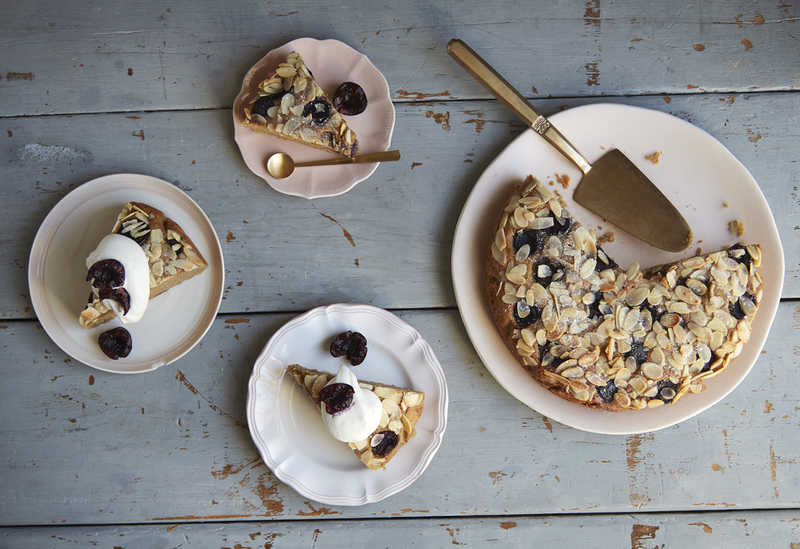 This cake, rich with honey and toasty almonds, was my answer to that challenge. A modern version (I hope!) of the traditional Bakewell. Heat the oven to 160°C and line a 9" cake tin with baking parchment. Separate the eggs, and place the whites in a large, clean bowl. Whisk the whites into soft peaks. While the whites are whisking, weigh the honey, light brown sugar, ground almonds, buckwheat flour, baking powder, salt and vanilla extract into a separate bowl. Whisk to combine. Add the egg yolks and melted butter, and mix until well combined. Add one large spoon of the whites to the second mixture. Beat in to loosen the mixture. Next, add the remaining egg whites and carefully fold until combined, working to retain as much air as possible. Transfer the mixture to the prepared tin. Stone and half the cherries, and arrange on top of the cake. 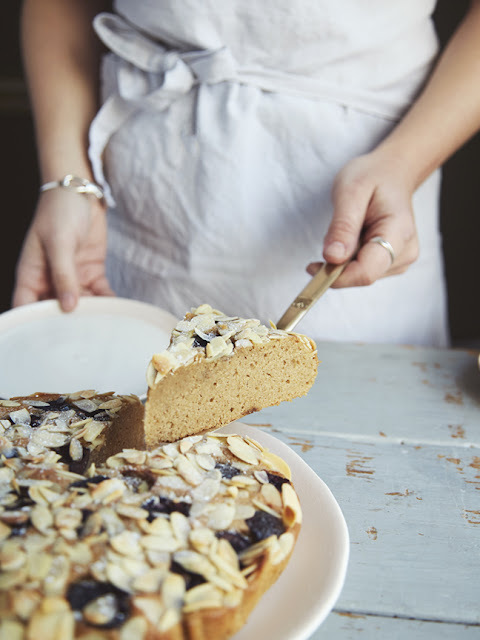 Sprinkle over the flaked almonds. Place in the oven and bake for 25-30 minutes. Test the cake and, if not completely baked, cook for a further 10-15 minutes. Remove from the oven and allow to cool completely. 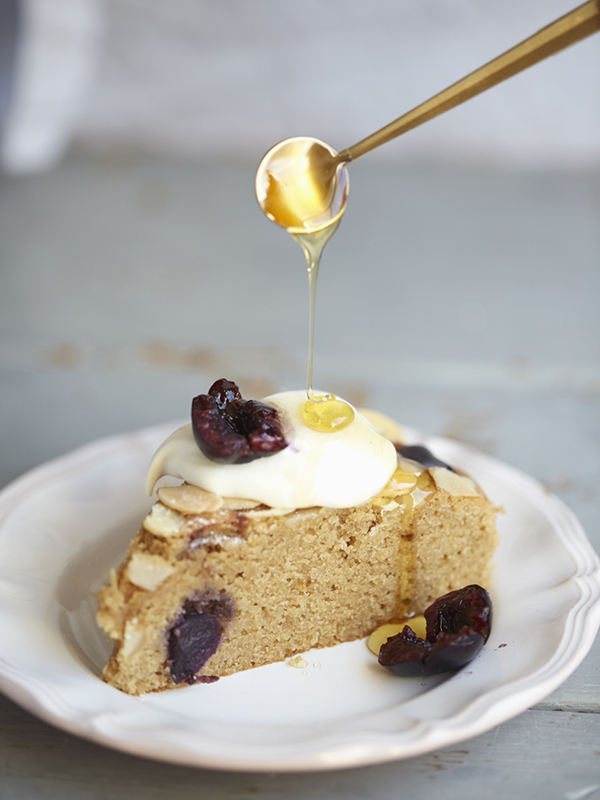 Serve with lightly whipped cream and an extra drizzle of honey. Cherries aren't in yet here but I'm saving this wonderful recipe for when they do. Thank you! So easy to make and looks delicious! 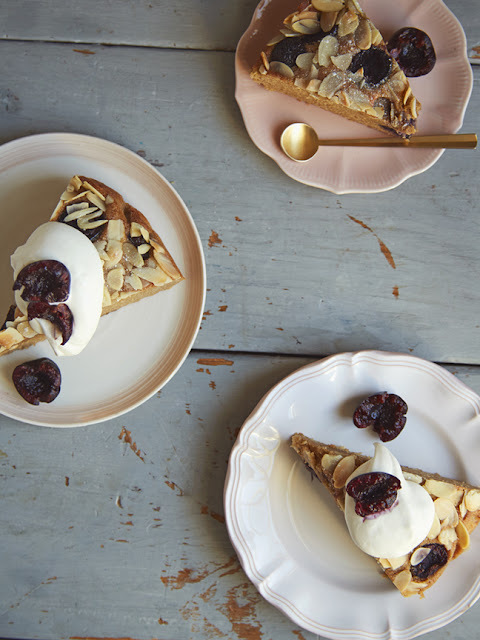 Love the idea of a classic almond and cherry combination that can be enjoyed by anyone, and would pair perfectly with a good cup of coffee too.